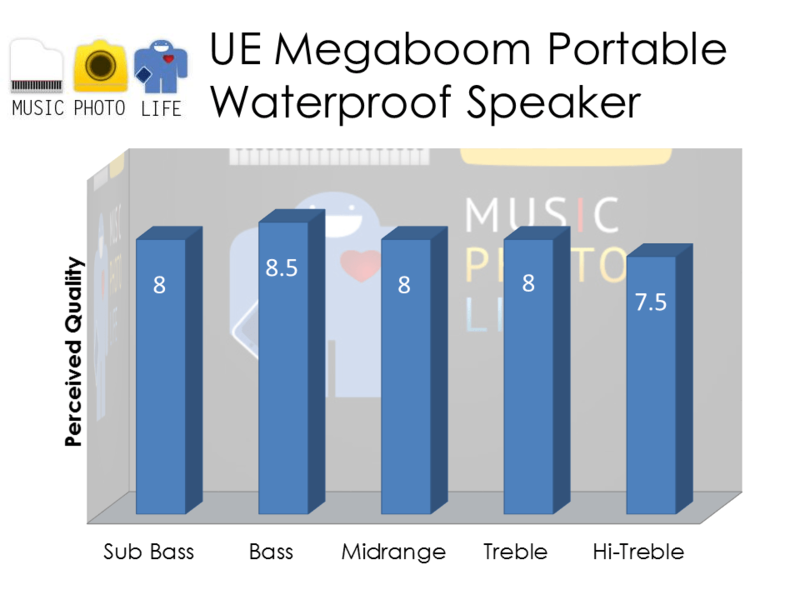 The Ultimate Ears MEGABOOM continues the UE BOOM line of life proof wireless speakers offered by UE since 2013. This time round, they made it bigger and louder for the ultimate party and outdoor livers. Don’t miss the promotion of 1-for-1 deal: buy a UE Megaboom and get the second one free! Here’s the link for more information on the #PartyUpwithUE Campaign. 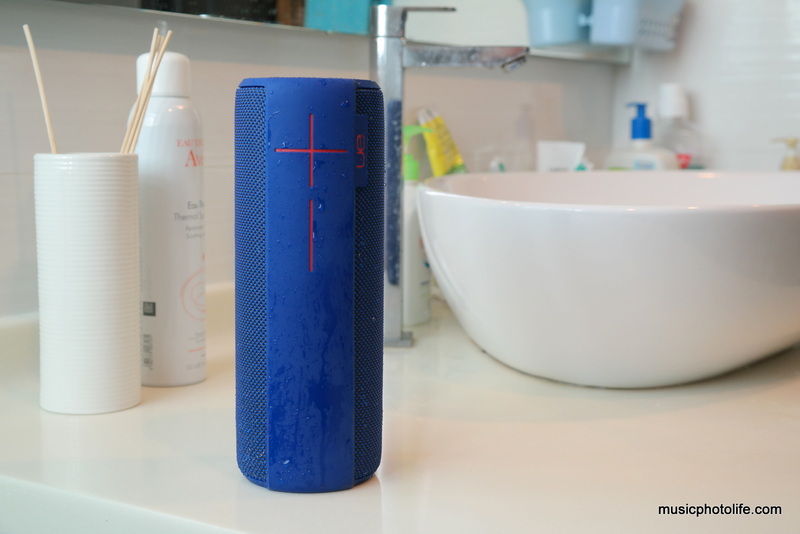 Compared to the UE BOOM, the MEGABOOM is bigger, lasts longer, and is certified waterproof. The MEGABOOM looks exactly like the smaller BOOM. Large volume buttons makes volume adjustment a breeze. The surface is coated with rubber and fabric that is easily washable. The USB and 3.5mm audio ports are located at the bottom with a removable hook that is also compatible with tripod mount. Note that the USB port is very recessed so your USB cable’s head must be small enough to plug in. When you turn on the MEGABOOM, the speakers play a rhythmic Congo drum sequence, and another drum sequence when it is connected to a device. When you hit the max volume, it too gives a loud ‘bong’. My wife finds it irritating as the volume is quite loud and could startle people in quiet environments. This startup audio sequence occurs to all battery-operated speakers but manufacturers should be mindful about this part of the design. Consumers hoping for more music controls will be disappointed. 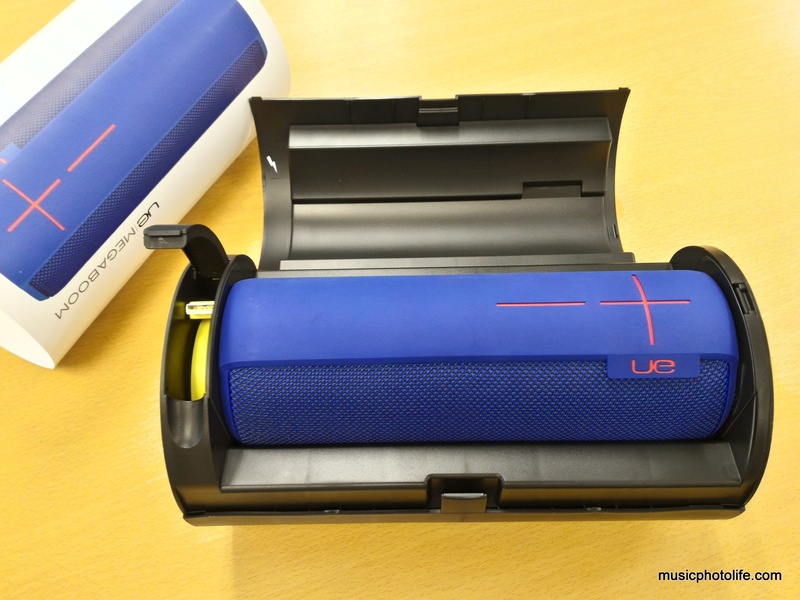 Just like UE BOOM, you cannot change tracks or pause music on the UE MEGABOOM. To answer incoming call, press the Bluetooth button. Don’t press the power button: just a tap will turn off the speaker. A cool feature: you can remotely turn on the speaker power via the smartphone app. 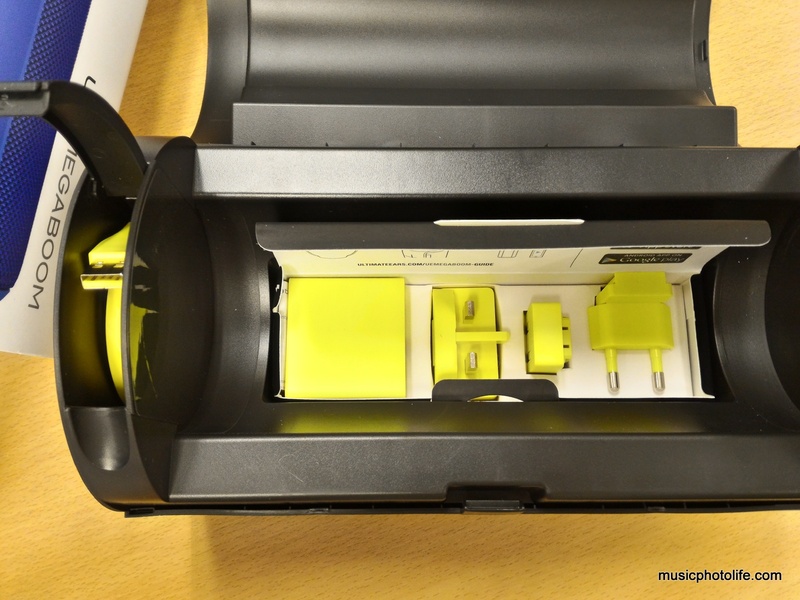 The UE MEGABOOM remembers 8 paired devices and lets you connect 2 devices at the same time. It will switch between the 2 devices depending on the active audio signal. And like the other BOOM series, you can pair 2 MEGABOOM speakers to double the loudness. The smartphone app also allows you to tweak the EQ, set alarm, and do over-the-air (OTA) firmware updates. Being waterproof, the speakers are protected to ensure no water enters the speaker yet sound can play out. This unfortunately puts some constraint to the audio quality. Underneath the exterior skin lies 2 speakers and 2 passive radiators. Compared to the UE BOOM, the MEGABOOM delivers heavier bass, clearer treble and provides much desired volume. The sound, however, is boxy when compared with other non-waterproof speakers. When playing at low volumes, it sounds muffled. After all, this speaker is built with the purpose of loud events, not for listening classical tunes. The UE MEGABOOM is an absolute crowd-pleaser. It pumps loud music with strong bass and clear treble. Bring it to any party and you will never need to worry about it getting ruined. With a 20-hour playtime, it will last longer than you. Now you just have to convince yourself to part S$399 to enjoy the benefits of owning a life-proof sound machine. If you lead an active and adventurous life, it is worth it. Available now at all good electronic stores.